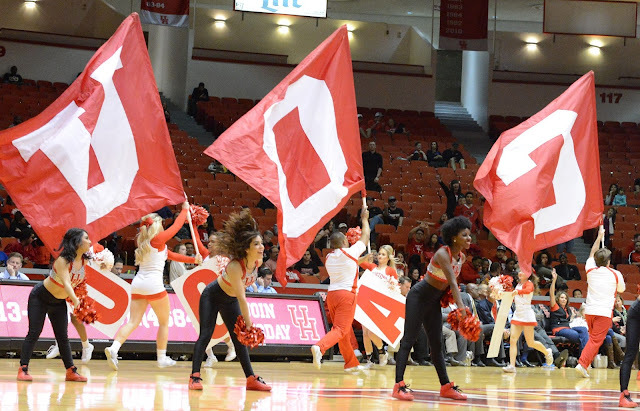 The Houston Cougars return home on Wednesday, January 4 to face Tulsa. TAMPA, FLORIDA (December 31, 2016) The Houston Cougars raised their American Athletic Conference record to 2-0 with a 70-56 win over South Florida at the Sun Dome in Tampa, Florida on Saturday, December 31, 2016. Three Cougars scored in double figures; with Rob Gray and Damyean Dotson tallying 25 points each, followed by Wes VanBeck with 11. The Cougars shot 42% from the field and pulled down 38 rebounds. The Bulls were led by Troy Holston with 16 points. The Cougars will return to the friendly confines of Hofheinz Pavilion for a two-game home stand beginning on Wednesday, January 4 with an 8 p.m. CT matchup against Tulsa. They follow that game on Saturday, January 7; facing No. 23 Cincinnati at 8 p.m.
and the game MVP award. HOUSTON, TEXAS (December 28, 2016) The Kansas State Wildcats used a potent offense to keep the Texas A&M Aggies in check in route to a 33-28 win in the AdvoCare V100 Texas Bowl in Houston, Texas on Wednesday, December 28, 2016 at NRG Stadium in Houston. The win raised the Wildcats record to 9-4 for the season while the Aggies dropped to 8-5. Kansas State head coach Bill Snyder discussed the win with the press after the game. two touchdowns for the Aggies. The Aggies tallied the first score of the game, receiving the initial kickoff and driving 75 yards in 10 plays for the score. Tailback Keith Ford took the handoff from quarterback Trevor Knight and rambled the final seven yards of the drive for the score. Daniel La Camera kicked the extra point to give Texas A&M an early 7-0 lead. A bit less than seven minutes later, the Wildcats received an Aggie punt and began their drive on their own 21-yard line. Quarterback Jesse Ertz connected with wide receiver Bryon Pringle on their first play of the possession, with a 79-yard pass, for Kansas State’s first score. Ian Patterson evened the score at seven points with his successful conversion. The Wildcats then took the lead when Ertz rushed the final five yards of a 55-yard drive, on a quarterback keeper, for Kansas State’s second touchdown of the game. 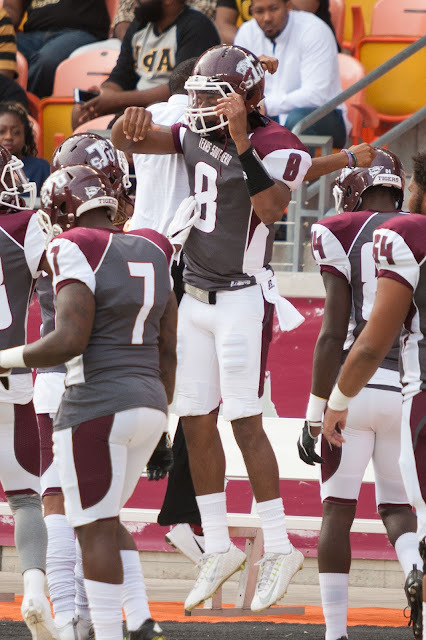 The Aggies limited the Wildcat score to six points when Patterson’s extra point attempt was blocked by Myles Garrett to make the score 13-7 at the 12:19 mark of the second quarter. Texas A&M wasted no time in getting back the lead when they capped their next possession with a three-yard pass from Knight to wide receiver Ricky Seals-Jones for the Aggies’ second TD and the La Camera kicking conversion. The Aggies then held a slim 14-13 lead over the Wildcats. K-State took back the lead with a 40-yard field goal by Patterson with 6:13 left in the first half. 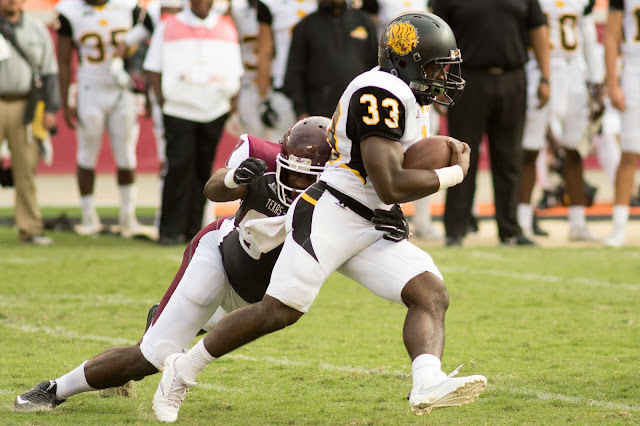 They increased their lead to 23 points when Dominique Heath took a handoff from Knight on a second-and-five play and carried the ball 52 yards for the Wildcats’ third touchdown of the game. Patterson added the obligatory extra point to give Kansas State a 23-14 to close out the first half. Head coach Kevin Sumlin discussed the Aggies’ season performance after the game. The Aggies began a comeback in the second half, beginning at drive with 10:56 on the clock in the third quarter. 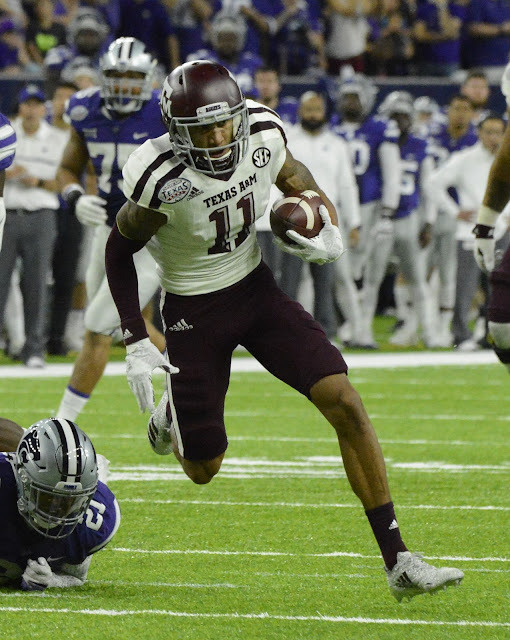 The Aggies moved the ball 90 yards in 10 plays and capped the drive with a four-yard pass from Knight to wide receiver Josh Reynolds for the touchdown. LaCamera added the extra point to cut the Wildcats’ lead to 23-21. Kansas State responded three minutes later with a Patterson 25-yard field goal to increase their lead to 26-21. The Wildcats increased their lead six minutes into the fourth quarter when Ertz carried the ball again on another quarterback keeper for another touchdown. As previously, Patterson kicked the conversion to give Kansas State a 33-21 lead. The Aggies scored with 7:50 left in the game on a 15-yard pass from Knight to Reynolds. for the North Carolina State Wolfpack. SHREVEPORT, LOUISIANA (December 26, 2016) Tight end Jaylen Samuels score two touchdowns in the first half and another in the third quarter to lead the North Carolina State Wolfpack to a 41-17 win over the Vanderbilt Commodores at the 2016 Camping World Independence Bowl in Shreveport, Louisiana on Monday, December 26, 2016. The three touchdowns by Samuels established a new bowl game record for Most Receiving Touchdowns in a game. The previous record of two was shared by six players, and was set or tied beginning in 1981 and continuing to 2013. The win allowed the Wolfpack to raise their record to 7-6 while Commodores dropped to 6-7. Samuels, who caught three passes for 104 yards and the three touchdowns was selected as the game’s Most Valuable Offensive Player by a vote of the credentialed media. were selected the MVPs of the game. After close to nine minutes of give-and-take football, Vanderbilt got on the scoreboard with field goal by Tommy Openshaw at the 6:06 mark of the first quarter. The 52-yarder, which tied the red-shirt junior’s season best, broke the existing bowl game record of 50 yards. The record was jointly held by Missouri’s Adam Crossett and Texas A&M’s David Hardy. Hardy established the record in 1981 against Ohio State, with Crossett matching the performance in 2005 versus South Carolina. Hardy booted the record setting field goal in the third quarter of the game, in which he was successful with four field goals and three extra points. Crossett tied the record in the fourth quarter of the game. Three minutes later, the Wolfpack took the lead with a nine-yard touchdown pass from quarterback Ryan Finley to Samuels and a kicking conversion by Conner Haskins. The drive covered 41 yards in seven plays and took 3:30 off the clock. Samuels add his second TD pass of the game, a 55-yard reception, again from Finley, cap a four-play, 81-yard drive that lasted 50 seconds. 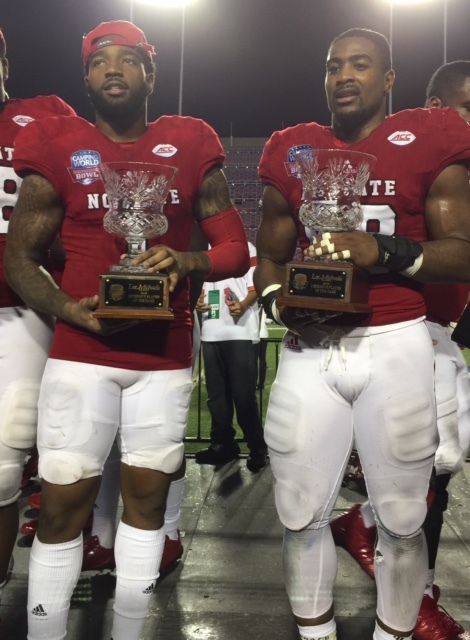 North Carolina State increased their lead after 3:10 in the third quarter when running back Reggie Gallaspy II carried the ball the final four yards on an 18-yard drive for the Wolfpack’s third touchdown, with Haskins taking on the extra point. NC State received the ball at the beginning of the drive when safety Josh Jones picked off a Kyle Shurmur pass at the Vanderbilt 43-yard line. Jones return the interception to the Vanderbilt 18-yard line to kick off the drive which lasted four plays and took 1:42. The Commodores added seven points to score on a 30-yard touchdown run by running back Ralph Webb and an extra point by Openshaw with 55 seconds left in the third quarter, to cut the Wolfpack lead to 28-10. Vanderbilt added another rushing touchdown with 10:37 left in the game on a one-yard touchdown by running back Khari Blasingame, and another extra point by Openshaw, to make the score 28-17. On the ensuing kickoff, Nyhein Hines took the return 100 yards for the score. The Wolfpack concluded their scoring frenzy with a 32-yard AIRFAT (an interception returned for a touchdown) with no time left on the clock. NC State head coach Dave Doeren talked about Himes’ interceptions, and what was discussed at halftime, with the press after the game. Defensively, Airius Moore tallied nine tackles, eight of them solo, while sacking the opposing quarterback twice for an 11-yards. In addition, he tallied two of his tackles for an 11-yard loss and broke up two Vanderbilt plays. Because of his play, he received the Most Valuable Defensive Player Award. SHREVEPORT, LOUISIANA (December 26, 2016) On Monday, December 26, 2016, the Camping World Independence Bowl will kick off at 4 p.m. CDT at Independence Bowl Stadium in Shreveport, Louisiana. The Vanderbilt Commodores (6-6, 3-5 SEC) will face the North CarolinaState Wolfpack (6-6, 3-5 ACC). These two teams will be playing each other for the second time is postseason history and the third time in each school’s program history. 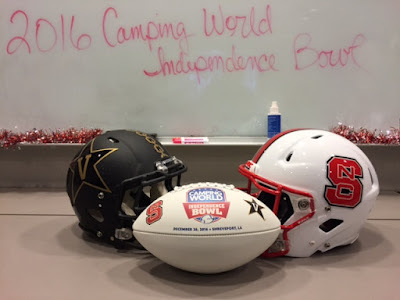 In 2012, the two teams faced off in the Music City Bowl, with the Commodores downing the Wolfpack by the score of 38-24. In their only other meeting, Vanderbilt defeated North Carolina State 7-0 on November 9, 1946. McNeese State went on to play twice more in the Independence Bowl. In 1979, they fell to Syracuse 31-7 and dropped a 16-14 decision to Southern Miss in 1980. Tulsa in 0-3 in bowl history, losing to Oregon 27-24 in 1989 and Virginia Tech 55-52 in 2015. Vanderbilt will be making its eighth appearance in a post-season bowl game, with their most recent performance being in 2014, where they downed the Houston Cougars 41-24 in the BBVA Compass Bowl in Birmingham, Alabama. The Commodores are 4-2-1 in post season play, dating back to the 1955 Gator Bowl, where they beat Auburn 15-13. The Wolfpack are 15-13-1 in bowl game appearances. Their first post-season game occurred in the 1946 Gator Bowl where they lost to the Oklahoma Sooners 34-13 in Jacksonville, Florida. The most recent appearance was a 51-28 loss to Mississippi State in the 2015 Belk Bowl. The tie came in 1974 against the Houston Cougars; a 31-31 decision in the Astro-Bluebonnet Bowl held at the Astrodome in Houston. to give the Texans the AFC South title. HOUSTON, TEXAS (December 24, 2016) With five seconds remaining in the game, Cincinnati Bengals' kicker RandyBullock lined up to boot a 43-yard field goal, which went wide right and thus gave the Houston Texans a 12-10 victory and the AFC South title. The win was the ninth of the season for Houston and set them up for a first round playoff game against the Kansas City Chiefs. Bullock connected for a 43-yard field goal to give the Bengals a 3-0 lead after 30 minutes of play. The Texans kicked of the second half by driving 68 yards in 11 plays resulting in a 25-yard field goal by Nick Novak to tie the score. They added another Novak field goal at the 13:31 mark in the fourth quarter after driving 71 yards in 12 plays. To make the score 6-3 in favor of the Texans. Cincinnati responded less than three minutes later when Dalton connected with wide receiver Brandon LaFell on a 91-yard pass for the game’s first touchdown. The pass was the long scoring pass of Dalton’s career. Bullock added the extra point to give the Bengals a 10-6 lead with 10:45 remaining in the game. Savage finally got the drive going he had been working on all game. He started drive after the Bengals’ kickoff and in four play, scored the Texas’ first touchdown of the game. He connected with running back Alfred Blue on a 24-yard pass for six points. The extra point attempt by Novak was blocked by defensive end Margus Hunt, resulting in the Texans taking a 12-10 lead with 8:41 left in the game. With Bullock’s missing the field goal with five seconds in the clock, the Texans advanced to the playoff for the fourth time in team history. Bullock, who was the first kicker ever drafted by the Texans in 2012, was questioned by the press after the game as to what went wrong with the kick. In the second half, Houston head coach Bill O'Brien made adjustments in the play calling, having the Texans go with a no-huddle offense. The change seemed to work for Savage, completing 18-of-29 passes for 176 yards. 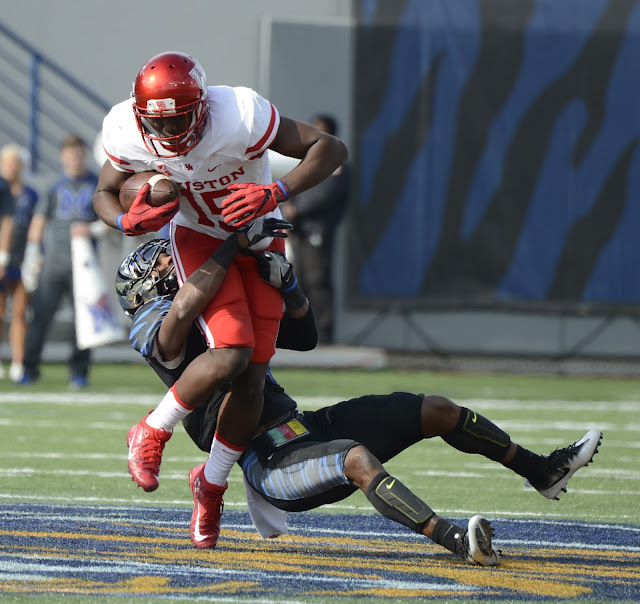 Blue carried the ball 21 times for 73 yards with the Houston defense sacking Dalton three times. The Texans will close out the regular season on New Year’s Day matchup on the road against the Tennessee Titans with a 12-noon kickoff. down six rebounds against Harvard. 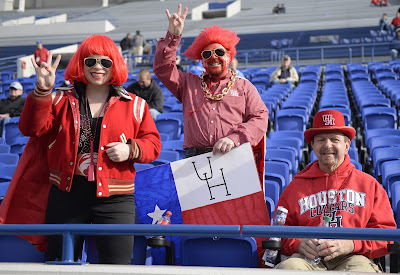 HOUSTON, TEXAS (December 23, 2016) Entering the second half with a slim 34-30 over the Harvard, the Houston Cougars dropped a 57-56 decision to the Crimson in front of 4,004 fans at Hofheinz Pavilion in Houston on Friday. December 23, 2016. The loss drops the Cougars to 9-3 on the season as they prepare to begin their American Athletic Conference schedule on December 28 against UConn in Hartford, Connecticut. tallied three rebounds in his first career start for Houston. lead 57-56 with 1:10 remaining in the game. 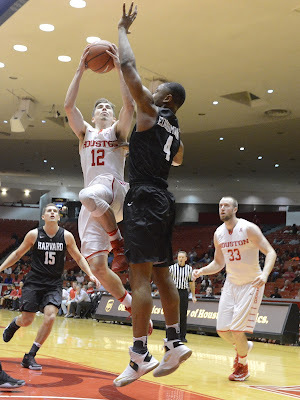 The contest was at a standstill for 2:59 in the second half until Robinsonree throw to put Houston up 40-36. The score remained at 40-36 for that time until Bertrand Nkali hit a three-point to break the scoreless streak. Houston led by nine at the 10:18 mark in the second half and held the until Harvard scored a layup by Zena Edosomwan to take the lead with 1:10 remaining. Wes VanBeck, the hard-working guard for Houston got his first career start against Harvard, playing 26 minutes, scoring six points, and pulling down three defensive rebounds. Bryce Allen came off the bench for Harvard, scoring 21 points, which tied his season high that came against Stanford on November 12, 2016. After beginning conference on the road on December 28, they travel to Florida to take on UCF on New Year‘s Eve. They return home on January 4, 2017 to face Tulsa with an 8 p.m. CST start. Harvard will host Howard University at home on December 30 to close out 2016. 63 yards and one touchdown against the Jaguars. HOUSTON, TEXAs (December 18, 2016) The Houston Texans trailed the Jacksonville Jaguars 13-5 at the end of the first half; responding with 16 points in the second half to win the game by the score of 21-20 in front of 71,803 fans at NRG Stadium in Houston, Texas on Sunday, December 18, 2016. The Texan defense held the Jaguars to seven points in the second half, with quarterback Tom Savage came off the bench in the second quarter to complete 23-of-36 passes for 260 yards. Running back Lamar Miller rushed for the Texans’ lone touchdown; a one-yard scamper late in the game. Houston tallied four field goals by Nick Novak and added a safety in the second quarter to close out their scoring. Jacksonville scored 13 points in the second quarter on field goals of 26 and 50 yards by Jason Miller; along with a one-yard touchdown run by quarterback Blake Bortles and a Myers’ kicking conversion. The Texans responded with the safety and the first of Novak’s four field goals; a 39-yarder to conclude a six-play, 40-yard drive. They started off the third quarter with another Novak field goal, this time of 45 yards. The Jaguars answered with Marqise Lee returning the ensuing kickoff 100 yards for the score. The Texans added to their point total with the third and fourth of Novak’s field goals of 43 and 27 yards. in the Texans win against Jacksonville. Savage entered the game at the 8:31 mark in the second quarter, replacing starter Brock Osweiler, who only completed six-of-11 passes for 48 yards. 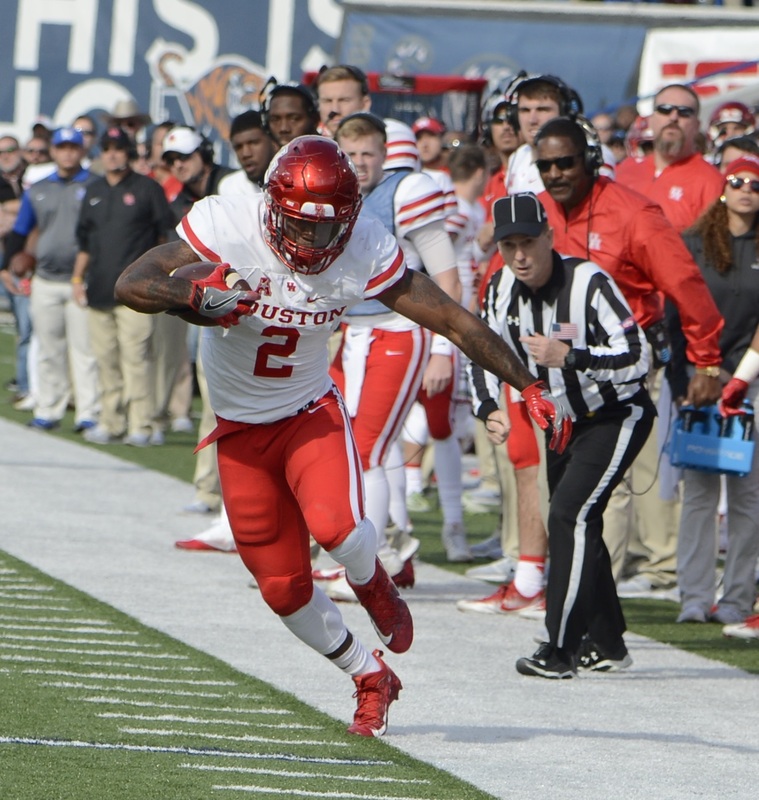 Miller carried the ball 22 times for 63 yards and the single Houston touchdown. Nine Houston receivers caught passes with DeAndre Hopkins and Ryan Griffin leading the way with 87 and 85 yards, respectively, with eight receptions each. Houston held Jacksonville to 150 yards offensively and nine first downs. Houston tallied 387 yards of total offense. With the win, Houston held on to their lead in the AFC South, tied with the Tennessee Titans. They will have a short week to prepare for the Christmas Eve matchup against the Cincinnati Bengals, who dropped 24-20 decision to the Pittsburgh Steelers on Sunday. Game time against the Bengals is tentatively set for a 7:25 p.m. CST kickoff in Houston. Houston will close out the season on New Year’s Day against the Tennessee Titans on the road. out to an 8-2 record for the 2016-2017 season. 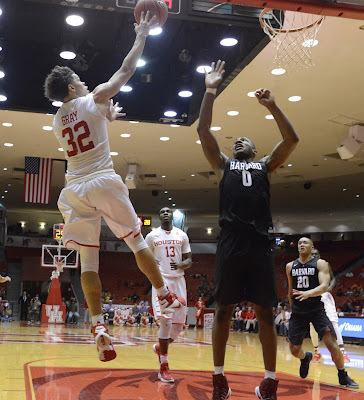 HOUSTON, TEXAS (December 17, 2016) The Houston Cougars jumped out to a 39-26 lead in the first half and went on to down the UT Rio Grande Valley Vaqueros by the score of 83-58 in front of a small but vocal crowd at Hofheinz Pavilion in Houston, Texas on Saturday, December 17, 2016. The win pushed the Cougars to 8-2 for the season and gives them a 12-0 record against the Vaqueros. Starting forwards Danrad Knowles and Damyean Dotson, along with starting guard Rob Gary combined for 55 of the Cougars’ points. Dotson led all scorers with 25 points, followed by Gray with 16 and Knowles with 14. Armoni Brooks came off the bench to add 10, with Wes VanBeck contributing nine. The Cougars shot 51% from the field and 75% from the free throw line. Dotson tallied 10 rebounds for his third double-double of the season. For the Vaqueros, Antonio Green tallied 11 points. We came out and played really hard from the start. We were pleased with a lot of guys effort tonight. I’m disappointed with some things that we just have to keep working on. We must get our bigs to rebound, that’s the bottom line. We play these other teams that have really good offensive rebounding bigs. Our guards are going to do a good job rebounding. I’m really pleased with our guards rebounding. We emphasize that a lot obviously. Danrad Knowles is scoring the ball better. We’re going to him, we have a lot of confidence in Knowles. Knowles only had one rebound today, that’s not going to be good enough . With our team going on, we didn’t play well in a couple games early. We’re a lot better team today than we were then. We are going to be a lot better a month from now then we are today. Losing games is not an issue. I don’t ever worry about that. What I worry about is how do we get better. I’m excited that we have a team that can continue to get better. Next up for the Cougars will be a Wednesday, December 21 matchup against Liberty College, followed two days later with their final non-conference game against Harvard. 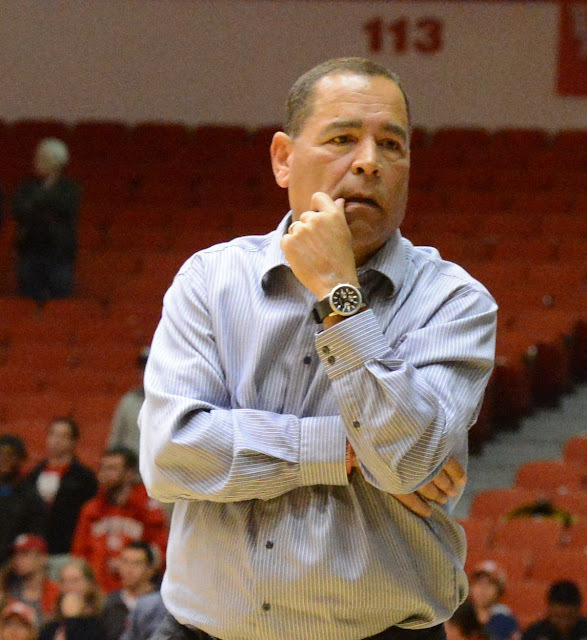 Both games are scheduled for a 7 p.m. CST start at Hofheinz Pavilion. Photo by Robert Kelly, Copyright 2016, All Rights Reserved. HOUSTON, TEXAS (December 10, 2016) The Houston Cougars poured it on in the second half, and went on to down the Rhode Island Rams by the score of 82-77 at Hofheinz Pavilion in Houston, Texas on Saturday, December 10, 2016. 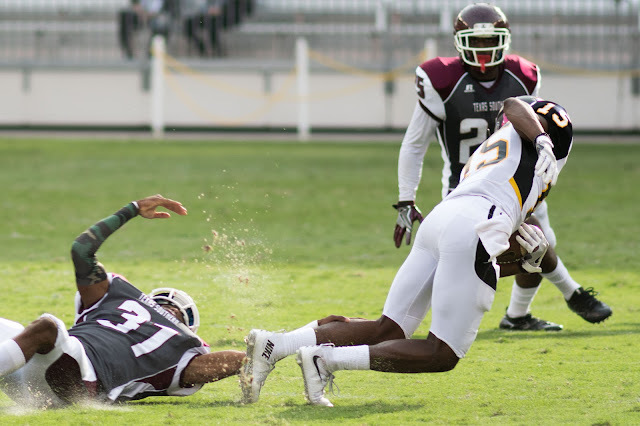 The win raises the Cougars to 7-2 on the season, while the formally ranked Rams dropped to 6-4. The duo of Rob Gray and Danrad Knowles combined for 55 of the Cougars’ 82 points in the win. Gray, a 6-2 junior from Forest City, North Carolina, scored a season high 30 points and was 14-of-16 from the free throw line. Knowles, who hails from Nassau, Bahamas, punched in 25 points and was 11-of-12 from the line. His 25 points were a career high for the 6-10 senior forward. Houston took their first lead of the game at the 15:38 mark in the second half; connecting on one of his two three-pointers of the night to give the Cougars a 48-46 lead. From that point on, the game was a give-and-take affair building a 67-62 lead with 6:25 remaining in the game. The Rams battled back to tie the score at 68 at the 3:55 mark. After that, Houston put on the accelerator and jumped out to an eight-point lead with 24 seconds remaining. The Cougars outscored the Rams 14-9 in the final minutes of the game to secure the win. The win was the fifth in the series against Rhode Island, dating back to December 26, 1964. The Cougars won that matchup 74-68 at home, following it up with wins on February 12, 1989 (85-71) and December 27, 2015 (67-41). Their last two games against the Rams were on the road, with the Cougars winning 102-99 in overtime on November 13, 2006. Last season, they dropped a 67-57 decision at the Ryan Center in Kingston, Rhode Island. Next up for the Cougars will be a 7 p.m. matchup against UT Rio Grande Valley on Saturday, December 17, 2016., with the home stand continuing against Liberty (December 21 at 7 p.m.) and Harvard (December 23 at 7 p.m.). They kick off their American Athletic Conference schedule on December 28 against Connecticut on December 28 in Hartford. 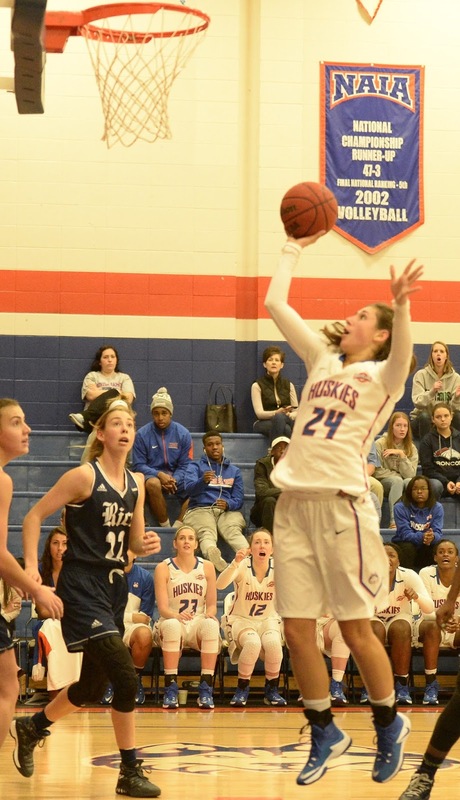 HOUSTON, TEXAS (December 9, 2016) The Houston Baptist University Huskies women’s basketball team notched their second win of the season with a 75-55 thumping of the Arlington Baptist Patriots at Sharp Gymnasium in Houston on Friday, December 9, 2016. The Huskies had five players scoring in double digits with Taylor Kollmorgan coming off the bench to tally 10 points and pull down 11 rebounds for her second career double-double. Freshman Charlotte Hodges also contributed off the bench, chipping in 14 points to lead all HBU scores. Arlington Baptist starting forward Kayla Beattie led all scorers with 17 points. The Huskies also had three other players scoring in double digits; senior guard Heidi Byrd scored 12 points and was three-of-three from the free throw line. Sophomore guard AmandaJohnson added 11 points with freshman guard Lauren Carver adding 10. The Patriots had two players scoring in double digits with Zayda Gonzales and Jayzhia scoring 14 and 13 points respectively. Next up for the Huskies will be a December 21 match up against the University of Louisiana-Monroe with a 7 p.m. start at home. on a one-yard run in the second quarter. 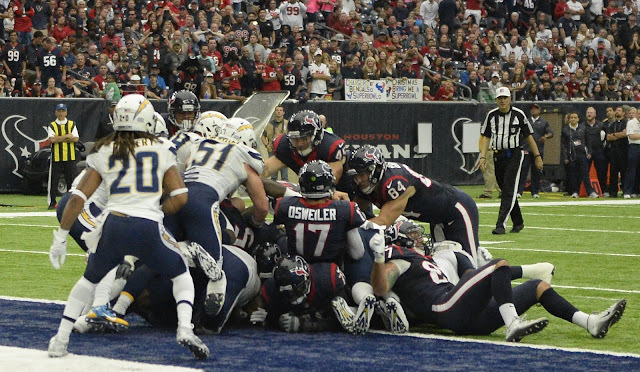 HOUSTON, TEXAS (November 27, 2016) Quarterback Brock Osweiler threw three interceptions and the San Diego defense limited Houston to one touchdown and two field goals as Texans fell to the Chargers 21-13 in front of 71,897 fans at NRG Stadium in Houston on Sunday, November 27, 2016. The loss drops the Texans to 6-5 while the Chargers raised their record to 5-6. After a uneventful first quarter, it took the Texans a little under 20 minutes to finally get on the scoreboard with the first touchdown of the game. Osweiler scored on a one-yard quarterback keeper to cap the 72-yard, 10 play drive that lasted 5:16. Nick Novak added the obligatory extra point to give Houston a 7-0 lead at the 11:11 mark in the second quarter. San Diego responded four and one-half minutes later with their own touchdown; a 52-yard pass from Philip Rivers to Dontrelle Inman. Their scoring drive covered 74 yards in 4:27 and took six plays. Josh Lambo evened the score at seven with the kicking extra point. and one touchdown against the Texans. The Chargers took the lead with 1:54 remaining in the first half on a 21-yard touchdown pass from Rivers to Tyrell Williams. The San Diego drive began when Osweiler was picked off by Casey Howard at the 4:47 mark in the quarter. The pass was intended for DeAndre Hopkins gave the Chargers the ball on their own 37-yard line. They covered the 63 yards for the score in five plays and 2:53. Osweiler has thrown eight interception at home this season; all of them intended for DeAndre Hopkins. 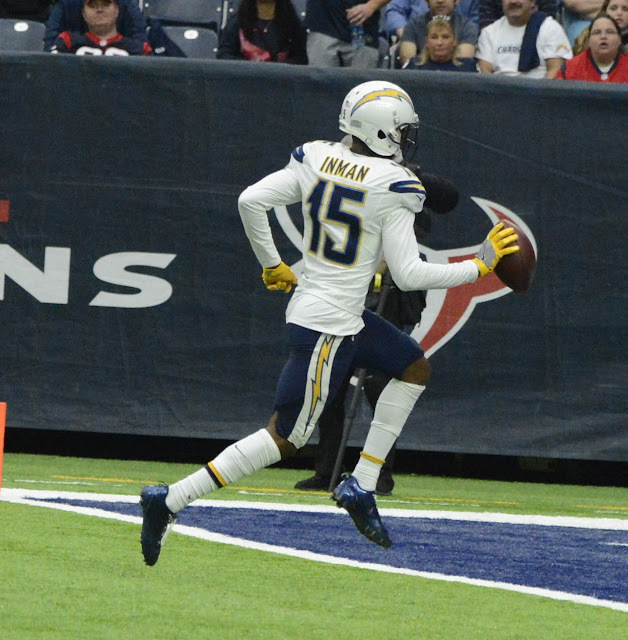 Houston cut the Chargers’ lead to four points with 55 seconds gone in the fourth quarter. Novak booted a 19-yard field goal to cap a 36-yard, nine play drive. San Diego responded with a 12-yard pass from Rivers to Hunter Henry to take the score to 21-10 in favor of the Chargers. Houston added a 45-yard field goal late in the fourth quarter to close out the scoring. Osweiler completed 22-of-37 passes for 246 yards, while Lamar Miller led the ground game with 57 yards in 19 carries. Hopkins caught five passes for 70 yards. For the Chargers, Rivers was 22-of-30 for 242 yards and three touchdowns. Inman caught the ball six times for 119 yards and one touchdown, while Melvin Gordon carried the ball 17 times for 70 yards and one touchdown. Houston falls to 2-5 overall against the Chargers and 1-3 against them at home. The loss to San Diego was the Texans first home loss of the season and drops head coach Bill O’Brien career regular season record to 25-19. 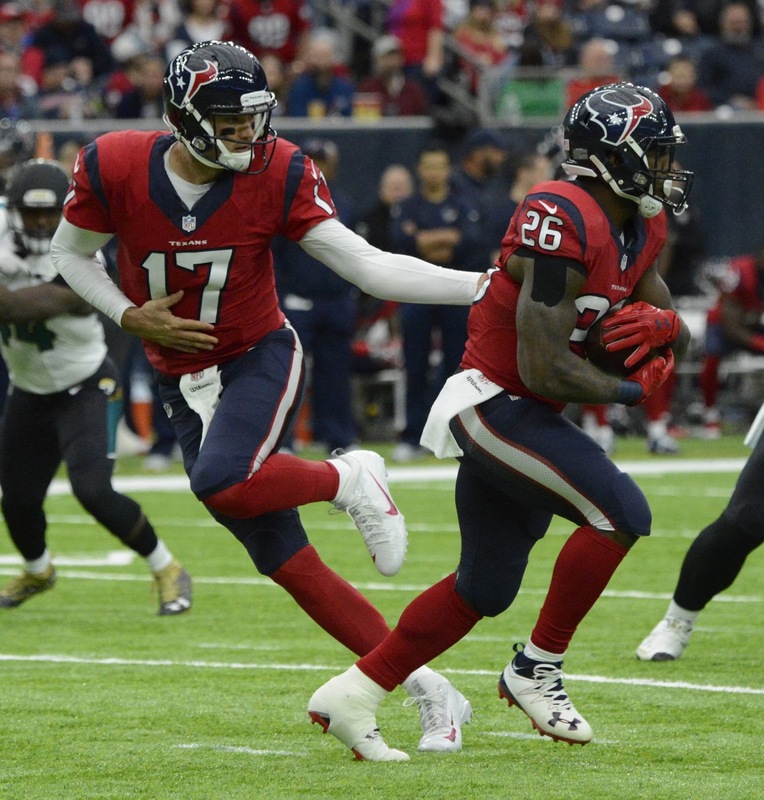 Next up for the Texans are two road games; a December 4 matchup against the Green Bay Packers and a December 11 game against the Indianapolis Colts. 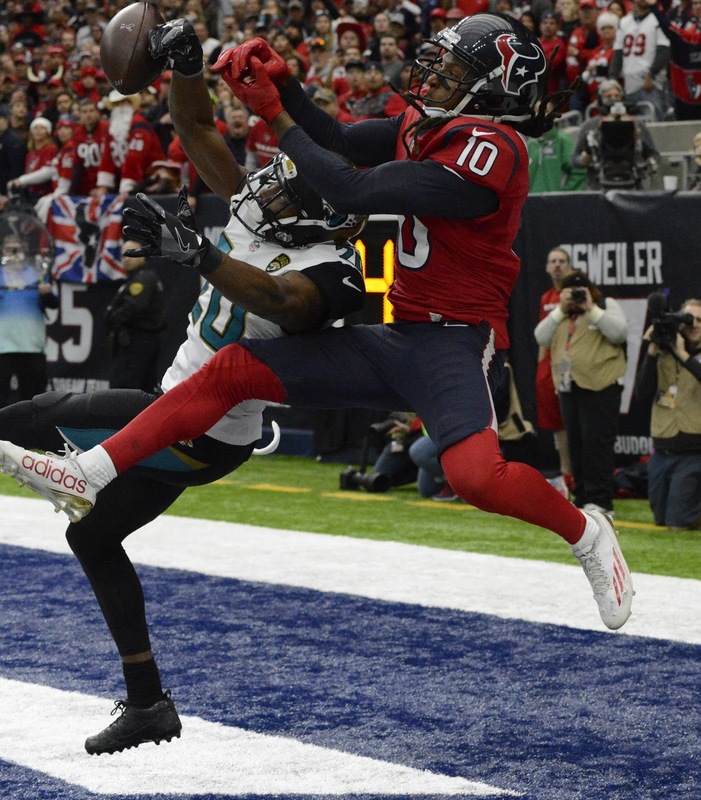 They will return to NRG Stadium on December 18 for a 12 noon CST matchup against the Jacksonville Jaguars, followed by a Christmas Eve game against the Cincinnati Bengals. They will close of the 2016 regular season on the road against the Tennessee Titans on New Year’s Day. one of his 17 passes against Memphis. MEMPHIS, TENNESSEE (November 25, 2016) Bringing a number 18 national ranking and the winningest senior class in program history into Libertly Bowl Memorial Stadium was not enough for the Houston Cougars, as they dropped a 48-44 decision to the underdog Memphis Tigers on Friday, November 25, 2016. The Cougars finish the regular season with a 9-3 record; along with a 5-3 record in American Athletic Conference action. The Cougars will now wait for two crucial bits of information in the days to follow. First, what post-season bowl game they will be invited to play and second, whether head coach Tom Herman will be back at the helm of the Cougars for that anticipated bowl and the 2017 season. Rumors circulated in the preceding days and hours leading up to Friday's matchup against these two conference rivals. Unconfirmed reports surfaced on the internet and social media that Herman and LSU had come to terms on a contract for the second-year head coach to lead the Tigers in 2017. Herman vigorously denounced the rumors, yet the spectre of his departure was a possibly a factor in the Cougars' loss. The Cougars' play of the field seemed uninspired in the first half and was a drastic departure from their play when they upset No. 3 Louisville on November 17.
passes for 41 yards against Memphis. The game started with a bang for the Tigers; when they scored 42 seconds into the game on a 67-yard pass from Riley Ferguson to Phil Mayhue. Houston answered three minutes later with a 41-yard Ty Cummings field goal. Memphis added two more TDs in the first quarter; a one-yard run by Doroland Dorceus and a two-yard pass from Ferguson to Mayhue. In between the two Memphis touchdown, Houston added a touchdown on a 10-yard run by Duke Catalon to close out the first 15 minutes of play with Memphis leading 21-10. The Cougars cut the Memphis lead to four points, six seconds into the second quarter with a Greg Ward, Jr. 29-yard pass to Tyler McCloskey. The Tigers responded with 13 unanswered points to give Memphis a 34-17 lead at halftime. Houston cut their deficit to seven in the third quarter with a Chance Allen 35-yard touchdown pass reception and a 25-yard Ty Cummings field goal. After a long drive that carried over from the third to fourth quarter, Houston added a 25-yard field goal by Cummings to cut the Tigers' lead to 34-30 with 13:07 remaining in the game. They finally took their first lead of the game at the 7:02 mark in the fourth quarter when Ward, Jr. hit Linell Donner with a 55-yard bomb for the score. Cummings added the extra point to give Houston a 37-34 lead. Then both teams went on a offensive frenzy; putting 21 points on the scoreboard in three minutes, 30 seconds. Memphis responded to the Donner touchdown with their own touchdown to regain the lead a tad over three minutes later. Ferguson connected with Anthony Miller on a 35-yard pass play to regain a four-point lead (41-37). Houston received the the kickoff with 3:49 left in the game; driving 75 yards in seven plays; concluding with a three-yard touchdown pass from Ward, Jr. to Allen to regain the lead with the score of 44-41. The Tigers received the final kickoff of the game on their own 28 yard line with 1:29 remaining. Ferguson then went to work and moved the ball 72 yards in 1:05; scoring the game winning touchdown with 19 seconds left in the match. After that, all Houston could was run three play before time ran out. Offensively, Houston tallied 624 yards of total offense, with Ward, Jr. accounting for 487 yards of those yards in the air. 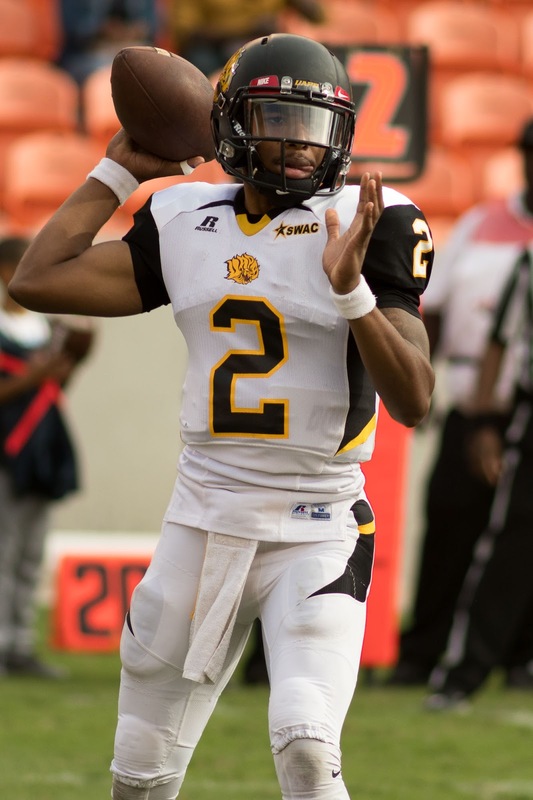 With four passing touchdowns, he has 52 career passing touchdowns which stands fifth in program history. Ward also recorded his seventh multi-TD passing game of 2016 and 16th of his career. Linell Bonner recorded his third touchdown reception this season and eighth of his career, on a 55-yard pass from Ward Jr. with 7:02 left to play giving Houston its first lead, 37-34. With 235 yards, Bonner finished his sixth game with at least 80-plus yards and became the 20th player in program history with a 200-yard receiving game. The mark also put him over the 1,000 yard threshold for the season, becoming the 19th player in Houston history to reach that mark. down 10 rebounds against the Rice Owls. HOUSTON, TEXAS (November 19, 2016) The Houston Baptist University Huskies could not contain the three-point shooting of Rice University and as a result, dropped at 79-53 decision to the Owls at Sharp Gymnasium on the HBU campus on Saturday, November 19, 2016. The Owls connected on 11 of their 26 attempts from beyond the arc to raise their season record to 2-1 for the season. The Huskies, who shot 29% from the field, dropped to 0-3. Starting forward Lauren Calver scored 13 point in the Huskies' loss. The 6-1 freshman from Helensburgh, Australia had her best game of the season; bettering her 11-point performance against the Texas Longhorns on November 16, 2016. Sophomore center Veronika Kirienko (Tashkent, Uzbekistan) came off the bench to score nine points and pull down 12 rebounds, while starting guard Bria Johnson and forward Taylor Kollmorgan each chipped in seven. Kollmorgan also pulled down 10 rebounds. The Owls has four players scoring in double-digits with starting guard Wendy Knight leading the Owls’ effort with 13 points. 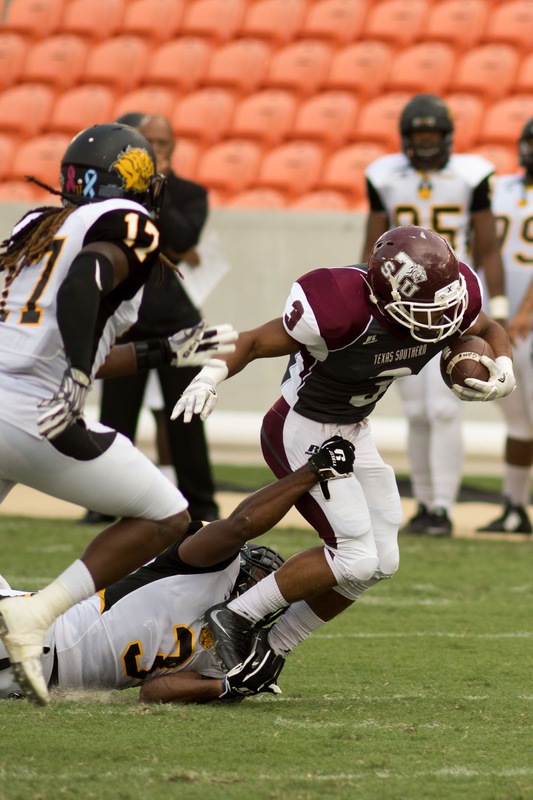 Huskies continue their home stand against Southwestern Assemblies of God Wednesday at 7 p.m., before closing it out with Oral Roberts Saturday at 2 p.m.
HOUSTON, TEXAS (November 13, 2016) The Texas Southern Tigers rolled to a 27-10 win over Arkansas-Pine Bluff in Southwestern Athletic Conference football action at BBVA Compass Stadium in Houston on Saturday, November 12, 2016. With the win, the Tigers moved to 5-6 in 2016 while the Golden Lions fall to 1-10. The Tigers rolled up a 20-7 lead in the first half, with both teams scoring seven points in the third quarter. 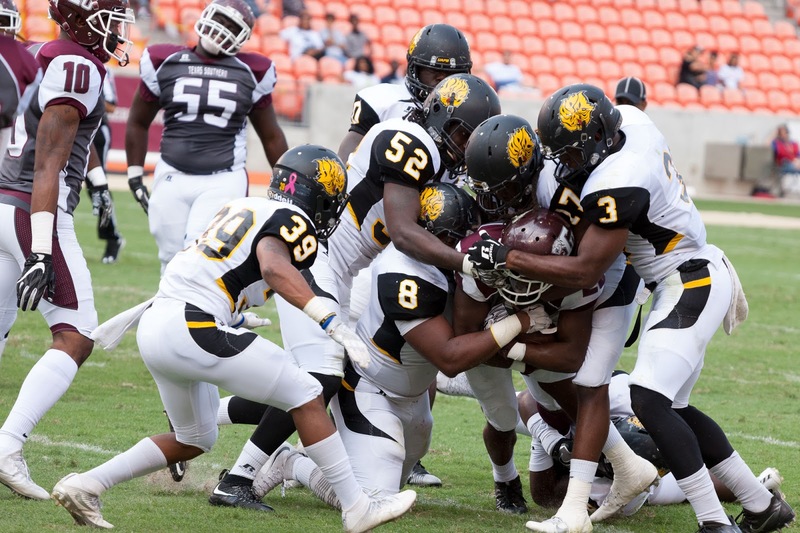 Arkansas-Pine Bluff added a 33-yard field goal in the fourth quarter to close out scoring. TSU’s Brad Woodard rushed for 117 yards on 28 carries while Tylor Cook added 101 yards on eight carries. Johnathan Bowen scored on rushing TD off 14 carries for 66 yards. 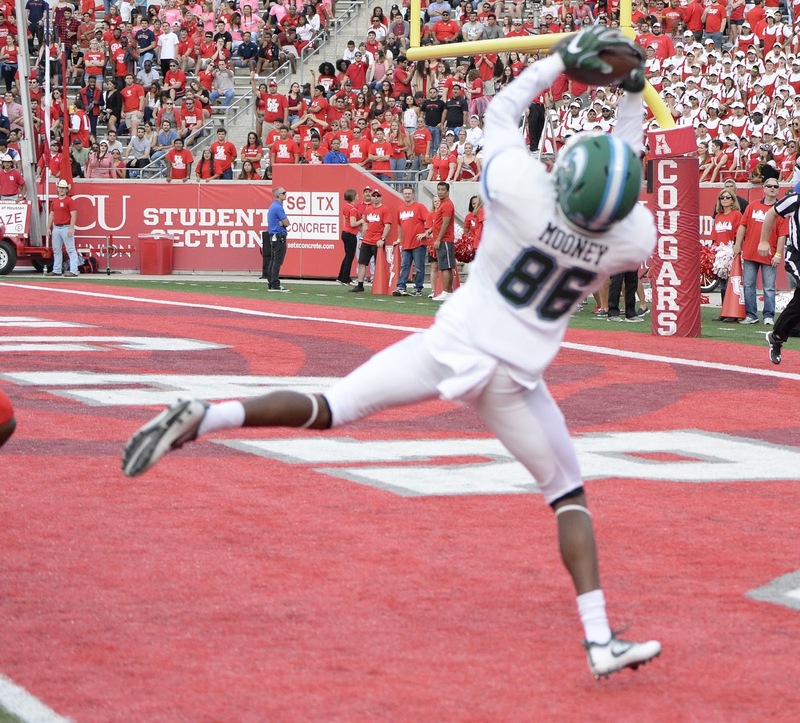 Tracy Johnson and Elie Nabushoi each caught one pass for a touchdown. Next up for the Tigers is a 2 p.m. CST matchup against Grambling State at BBVA Compass Stadium on Saturday, November 19, 2016. Below are more photos from the game, courtesy of Kris Gager and Tommy Boatman, Houston Sports Images, Copyright 2016, All Rights Reserved. 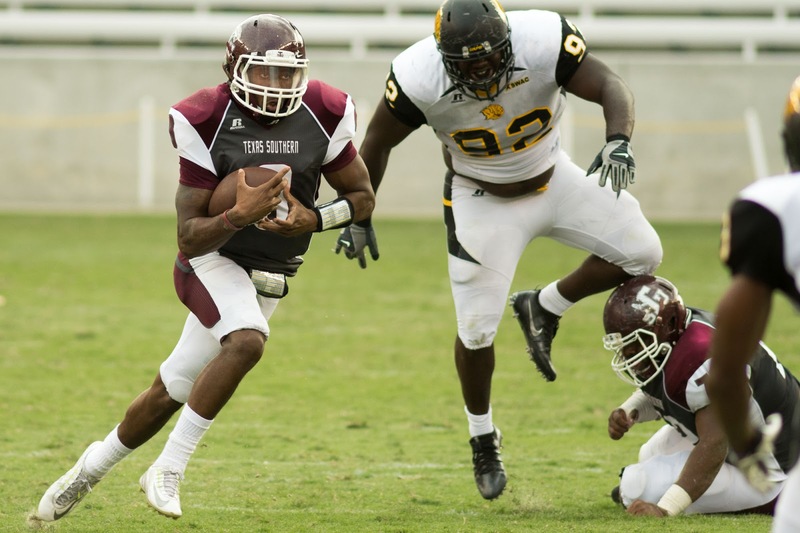 Tony Dawson (11) rushed for 218 yards and two touchdowns. 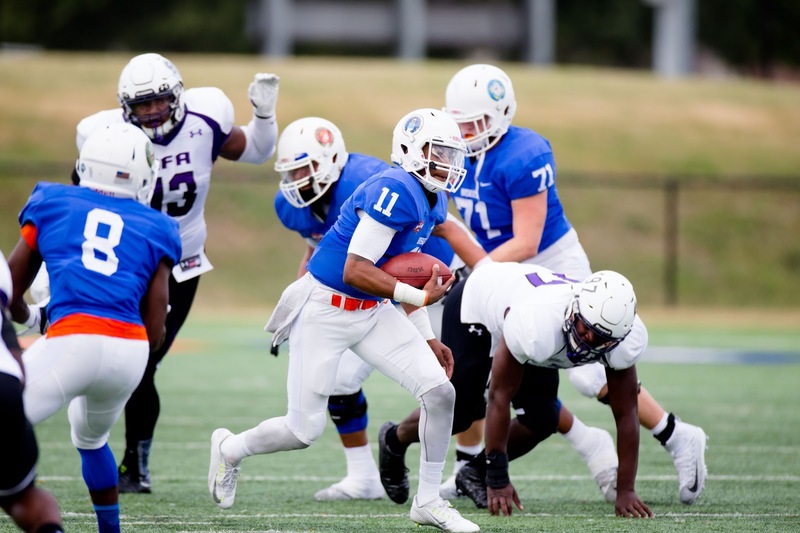 HOUSTON, TEXAS (November 12, 2016) The Houston Baptist University Huskies jumped out to a 14-7 lead at halftime and when on to down the Stephen F. Austin Lumberjacks by the score of 31-24 at Husky Stadium on the campus of HBU on Saturday, November 12, 2016. The win was the first ever for the Huskies over the Lumberjacks and gave HBU their biggest win in program history. 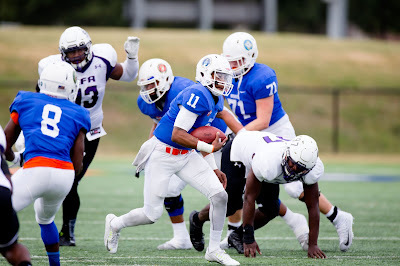 The Lumberjacks got on the scoreboard on their first possession; driving 75 yards in 10 plays to put six points on the scoreboard when Zach Conque connected with Tamrick Pace on a 32-yard pass. Storm Ruiz booted the conversion to give SFA a 7-0 lead. The Huskies responded on their first possession with a 75-yard, 10 play drive. Tony Dawson hit Terrance Peters with a 26-yard pass for the score. Alec Chadwick added the conversion to tie the score at seven at the 6:57 mark of the first quarter. HBU scored seven points in both the second and third quarters and 10 points in the fourth. SFA matches the Huskies’ scoring output in the second half. The Huskies achieved 437 yards of total offense while Dawson completed 9-of-22 passes for 139 yards and one interception. SFA’s Conque was 26-of-43 with one interception. Husky head coach Vic Shealy commented about the win after the game. The Huskies has set new program records for wins (four) and conference wins (three) and finished the season with a winning record at home with a 3-2 mark. Houston's second TD of the game. 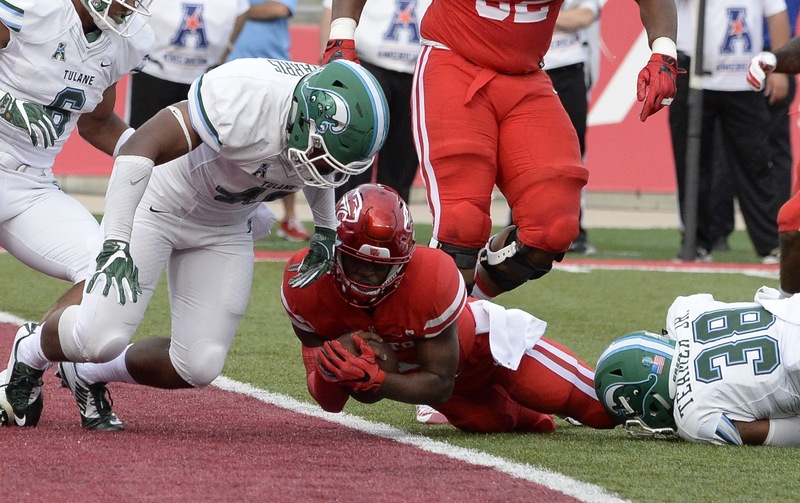 HOUSTON, TEXAS (November 12, 2016) Jumping out to a 28-10 lead at halftime, the Houston Cougars went on to down the Tulane Green Wave by the score of 30-18 on John O’Quinn Field inside TDECU Stadium in Houston on Saturday, November 12, 2016. With the win, the Cougars move to 8-2 on the season and 5-2 in American Athletic Conference action. The loss moved the Green Wave to 3-7 in 2016 and 0-6 in conference play. recipient of another Ward, Jr. pass; this time a six-yarder for the score. That score closed out the first half with Houston leading 28-10. Tulane added to their point total with 4:27 remaining in the game on a 28-yard pass from Cuiellette to D.J. Owens. Houston tallied a team safety 42 seconds later to close out the scoring. Ward Jr. completed 18-of-30 passes for 189 yards and two touchdowns. Linell Bonner led all receivers with 97 yards in the air while Tulane’s Josh Rounds topped all rusher with 72 yards. Houston will have a short week as they next face No. 5 Louisville on Thursday, November 17 at home.